God is my Referee, He wrote the Rules! 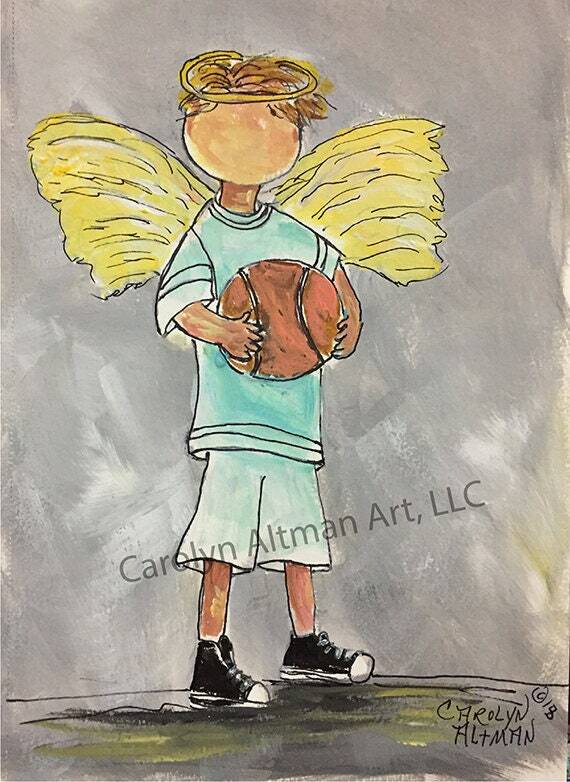 This is my painting of a sweet little guardian angel holding a basketball, all suited up with high top shoes and ready to play. My hope and prayer from this painting is - that all children and their parents will know that God lives with them daily to provide love, hope and comfort through his Holy Spirit. That He is only a prayer away. This painting is available in prints and note cards.